Q: How do I hook up this LED cargo area light kit to power? A: Just tap the wires to the high mount brake lamp side clearance light. 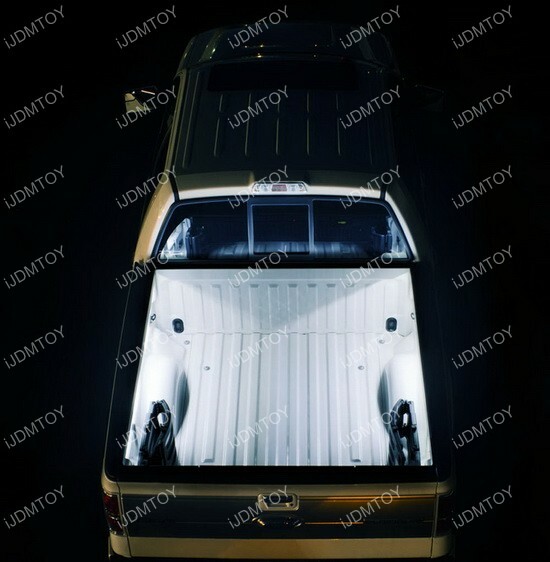 Q: Does this LED cargo area light kit fit my truck? A: This is a universal fit product and will fit all trucks. 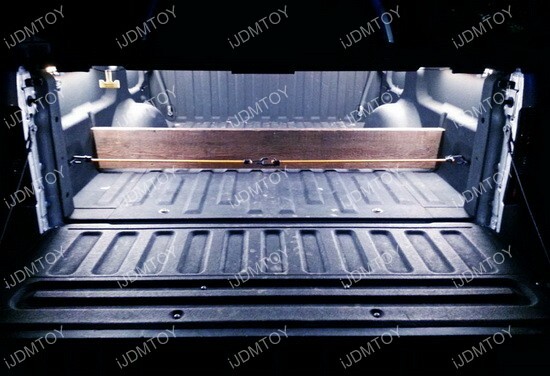 A: Stick or bolt the LED lamps under the edge of the two sides of the truck bed and tap the wires. 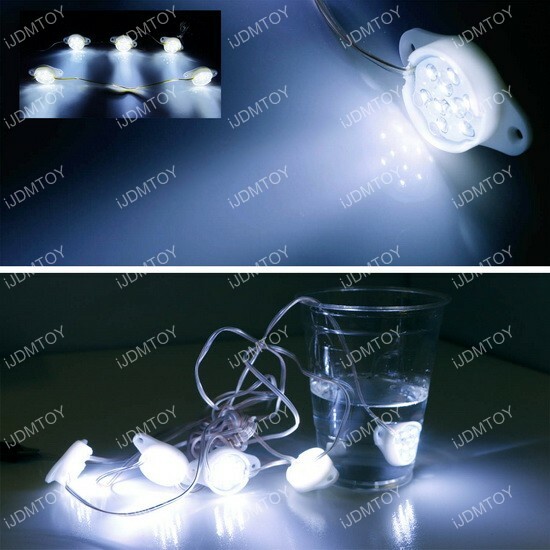 Q: Is this LED lighting kit water proof? A: This LED lighting kit is designed to be water resistant, meaning you can use it under all weather conditions. 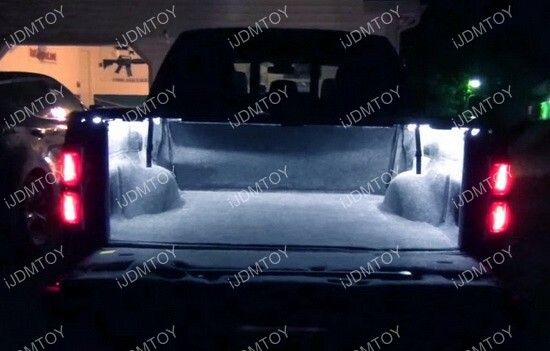 Truck bed illumination has become a thing now, with many people opting to install an ambient style lighting along the edges of the truck bed to provide a subtle, cool glow. This type of illumination is great for lighting up a small area in the truck bed or even just used for decorative purposes. 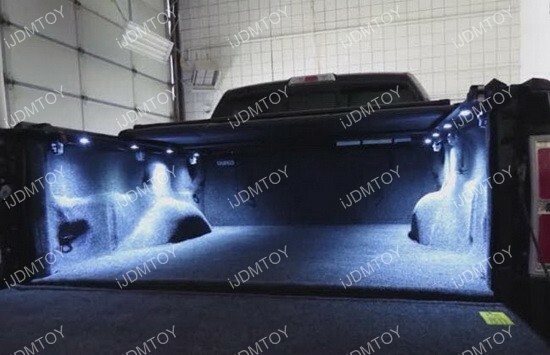 This is a 10-piece 90-LED universal fit truck bed/cargo area LED lighting kit that's good for any truck, like the Ford F150/F250/F350, Dodge RAM 1500/2500/3500, Chevy Silverado, and more. 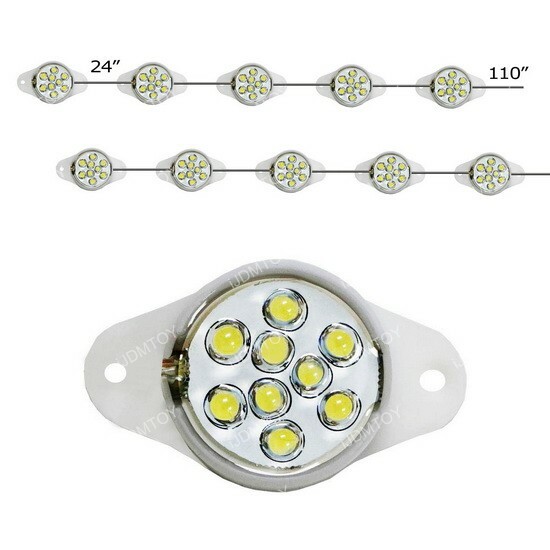 There is a total of 10 pieces of 9-LED 1.2" diameter LED lamps that you can stick or bolt under the edge of the two sides of the truck bed and tap the wires to the high mount brake lamp side clearance light to light up the truck bed with a futuristic glow. 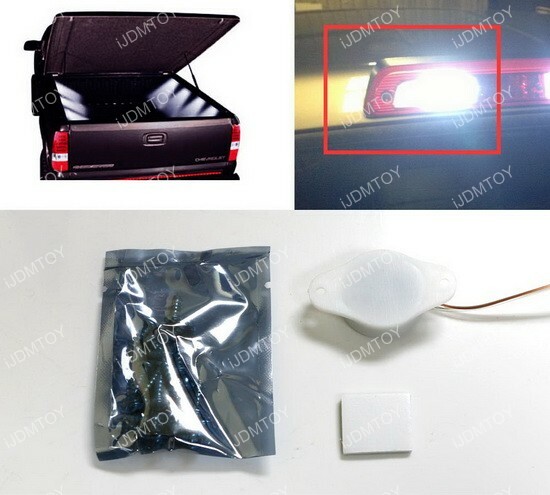 Kindly measure your vehicle to see if it can accommodate the length of the LED kit.